Say Good bye to gift certificates and punch cards forever! IT’S MONEY IN THE BANK! 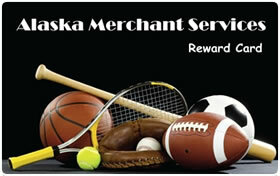 Alaska Merchant Services believes that gift & loyalty card are much more than a card, they are a marketing tool for any Business. Be creative, think outside of the box and contact one of our friendly associates to help you create and plan your customized NEW card program today. rapidly-growing merchant product of all time!